Well, now that we’ve looked at several end-time issues, it’s time to wrap up our study of eschatology. Let’s take a second to remember all we’ve discussed and then tie it all together. In Part 1 we introduced the series with an overview of the issues. In Part 2 we focused on the rapture. The three options for the timing of the rapture are pretribulation, midtribulation, and posttribulation. After examining the biblical evidence, we determined the rapture will most likely occur after the tribulation. In Part 3 we discussed the millennial reign of Christ. The three positions for this event are premillennial, postmillennial, or amillennial. As we saw, choosing between these options is tough. Hell and eternal punishment were dealt with in Part 4. The Scriptures, and especially Jesus, seem to describe hell as a place of literal and eternal punishment, opposed to those who see it as metaphorical or believe in annihilationism. 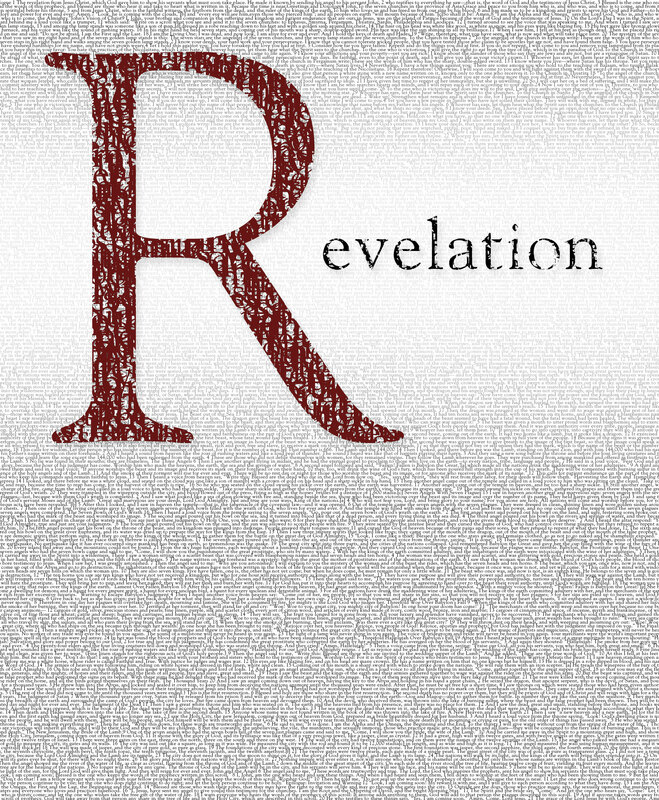 Finally, in Part 5 we turned our attention to the Book of Revelation. It’s prophecies can be interpreted according to one of three views: (1) Preterist; (2) Futurist; or (3) Idealist. Because Revelation is apocalyptic literature, the best way to interpret it is according to the futurist and idealist approaches. Having identified and studied the main issues surrounding the end of times and eternity, the question is, “Now what?” What do we do about it? What do we take from it? 1. Be serious/clear-headed and disciplined for prayer. 2. Maintain an intense love for each other. A previous HCSB translation reads “keep your love for one another at full strength.” Believers need to be constantly stretching their love far and wide. Why? Because love covers a multitude of sins. If we love one another, we will overlook one another’s faults. Believers have always been called to take care of and meet the needs of others. But this is especially true in light of the end. And whatever we do for others, we better do it with a smile on our faces. 4. Use your spiritual gift(s) to serve others. As believers, we receive gifts by the grace of God. The key here is to USE your gift(s). Think about it: if you give someone a birthday or Christmas gift, you don’t want them to sit it on their shelf and forget about it, you want them to use it. The same is true with God. He wants to see us using the gifts He has graciously given us. So having these gifts is not a privilege, it is a responsibility. So as believers, what do we do with all we know about eschatology? We don’t need to worry about it. We don’t need to argue about it. Instead, we need to be focused on praying and on serving others. In conclusion, my prayer is that through this series your thoughts surrounding the end of time have been enlightened and enhanced. And as always, even if you disagree with my eschatological stance, my hope is that you have been challenged and changed by it all! I think it goes without saying that no book in the Bible has been subject to a more varied interpretation than the sixty-sixth one: Revelation. Those in Christian circles either love it or fear it. They either read it all the time or not at all. But those who have read it (including myself), or have at least tried to, most likely lack a complete understanding. Therefore in Part 5 of this blog series entitled “Eschatological Confusion” we will turn our attention to this mysterious book. The name of the book is taken from its opening verse: “The revelation of Jesus Christ that God gave Him to show His slaves what must quickly take place…” The word translated “revelation” is the Greek word ἀποκάλυψις (apocalypsis), from which we derive the English word apocalypse. According to BLB, the word means to disclose previously unknown truth, or literally to lay bare or make naked (click on this link to see the lexicon: https://www.blueletterbible.org/lang/lexicon/lexicon.cfm?Strongs=G602&t=HCSB). So right from the start we know that in this book God is going to reveal truth to those who read it about events that will soon take place. We can gather more important information from the rest of 1:1 and into v2: “He (Jesus) sent it and signified it through His angel to His slave John, who testified to God’s word and to the testimony about Jesus Christ, in all he saw.” A man named John was used to record this revelation, a revelation which he “saw.” This means he had a vision, or several visions, of these events. In fact, the book of Revelation states fifty-four times that John “saw” something. But who was this John? Was he the same John who authored the gospel and the three short epistles? Some say it was a different John, yet the bulk of recent scholarship suggests that it was indeed John the apostle, who had already penned four other New Testament books. The second century church father Irenaeus considered John the apostle to be the author of Revelation. This is important because Irenaeus was a student of Polycarp, who was a contemporary and a friend of John the apostle. When it comes to the interpretation of this book, several things must be kept in mind. First of all, these visions were seen and this book was written at the end of the first century AD (ca. 95). Secondly, this book was addressed to the seven churches of Asia Minor, which were located within the powerful Roman Empire. When we combine these two facts, we understand thirdly that these people were under the reign of the emperor Domitian, who advocated and practiced the persecution of believers. John references this persecution in 1:9, where he states, “I, John, your brother and partner in the tribulation…” It is referenced again in 2:9 in the letter to Smyrna, “I know your tribulation and your poverty…” As with any other book of the Bible, we must always keep the situation of the original audience at the forefront of our minds when interpreting it. Though not an exhaustive list, the fourth and final thing to keep in mind when interpreting Revelation is its genre. The sixty-six books of the Bible are composed of several different genres, such as narrative, poetry, prophecy, and epistle. The book of Revelation is a combination of three different genres. First of all, it is an apocalyptic book (remember, the word revelation comes from the Greek word meaning apocalypse). Apocalyptic literature, both inside and outside the Bible, uses numbers, symbols, and figurative language to convey its message. For this reason, it cannot and should not be interpreted literally. And though these symbols and figures may be frightening, it should be understood that apocalyptic literature was actually written to give hope. This book is not attempting to terrorize its readers with nightmares. Instead, it was written to give hope to those experiencing trials and tribulations (then and now). Thirdly, Revelation also contains epistolary features. 1:4-8 introduces the author and audience and includes a standard greeting, such as the letters of Paul. Also, the entirety of chapters 2 and 3 contain seven letters, one to each of the churches of Asia Minor (Ephesus, Smyrna, Pergamum, Thyatira, Sardis, Philadelphia, and Laodicea). All of this information (including the author, audience, date, genres, and purpose of the book) should be plenty to get anyone on the right track when it comes to interpreting Revelation. Now, with all of this in mind, let’s look at three ways this book has been understood historically. A preterist interpretation of prophecy suggests that the events prophesied have already been fulfilled. So those who hold to a preterist view of Revelation believe that every single prophecy in the book has already occurred. But with all the events that still seem futuristic to most, how do they see them as already fulfilled? First of all, they date the writing of the book earlier than 95 AD. This allows them to say that all the prophecies were fulfilled within the first century and experienced by the original audience. Secondly, they look to the Jewish historians Josephus and Suetonius and see several events they recorded as the fulfillment of Revelation’s prophecies. Even when it comes to the new creation of chapters 21 and 22, those holding to a preterist view say we are already experiencing it. In favor of this view is the statement in 1:1 that these events must quickly or soon take place. It should be mentioned from the start that there are differing degrees of this approach. Some futurists say that none of the events spoken of in Revelation have been fulfilled, while others say some have and some have not. Understanding that this book was addressed to first century Roman residents, it would be difficult to see everything in the book as future. At the same time it is hard to deny that most of the events do seem still in the future, especially the events of chapters 19-22 concerning the return of the Lord, the judgment, and the new creation. This view takes to heart the fact that Revelation is apocalyptic literature. Interpreting it as such, those who adhere to this view see the events as mostly symbolic and as an attempt to lift the spirits of persecuted believers. Instead of looking for the fulfillment of each and every prophecy, the idealist steps back and takes a very wide-angled view. When this happens, Revelation can be summed up in one statement: Christ, and therefore believers, have secured the victory! Revelation teaches us what the rest of the Bible has already taught us: God is a God of love and justice; He saves those who are His and sends His wrath upon those who are not. Only in the end, these things will happen on a grand scale and will last for all eternity. Those who are His will live with Him in the new creation, while those who are not will be in anguish. My prayer is that with this information and guidance, you will no longer be afraid to open up the book of Revelation. And when you do, may you be challenged and may you be changed! 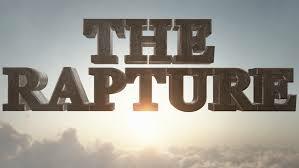 As mentioned in Part 1, the term “rapture” is never actually used in Scripture, but the concept is. While consoling the believers in Thessalonica concerning their fellow church members who had fallen asleep (died), Paul spoke of the time when “we who are still alive will be caught up together with them in the clouds to meet the Lord in the air…” (1 Thes. 4:17). In this passage, the “we” refers to Paul and all the believers in Thessalonica (and as an extension, believers anywhere). “Them” refers to believers who have already fallen asleep. Therefore Paul speaks of a day when all believers, whether dead or alive, will be joined together with each other, and most importantly, with Christ. This idea of being “caught up together” is where we derive the concept of the rapture from. The discussion about the tribulation begins in Daniel 9:27. Daniel prophesies that the antichrist will make a covenant with God’s people for “one week,” which equates to seven years. Therefore it is believed that the tribulation will last for these seven years. Daniel also says that in the middle of this week (three and a half years into it), the abomination of desolation will take place in the temple. This seems to speak of a more intensified time of persecution towards Christians. When you fast forward to the New Testament, you find Jesus mentioning very similar things. When asked by the disciples what the signs of His coming and the end of the age will be, Jesus told of persecution, deception, the “abomination that causes desolation,” and even the “great tribulation” (Matt. 24:3-28). Paul also hints at a time of tribulation in 2 Thessalonians 2:3-4, as does John the Revelator. In 1 Thessalonians 4:16-17 Paul describes the rapture. Then, in 5:1-11, he further explains things, including the mention of “the Day of the Lord,” which possibly refers not to a single day but to the entire seven year tribulation (according to pretribulationists; based on Old Testament texts). In 5:4 Paul speaks to the believers and says, “But you, brothers, are not in the dark, so that this day would not overtake you like a thief.” The pretribulationist takes this to mean that believers will not be overtaken by the tribulation, suggesting believers will be raptured before the seven year period. But is that what Paul said? He didn’t say that it wouldn’t overtake them at all, he simply said it wouldn’t overtake them like a thief. The point is not that believers will be gone before this day, but that this day will not catch them off guard like a thief in the night. They will be well-prepared, for they are in the light; they have been warned ahead of time that this day is coming. In the Greek language, the word eschatos means “last.” Hence the theological field known as “eschatology” refers to the study of last things, or the study of the end of time. Now there are many theological issues that create debate, but there is no bigger debate than when it comes to eschatology. -When will the rapture take place? Before, during, or after the tribulation? -How long will the tribulation last? Will it be a literal seven years, or will it be longer? Could we possibly already be in the tribulation? -What about the millennium (1,000 years)? Will it be a literal 1,000 years? Have those years began yet, or are they still in the future? -What exactly does the book of Revelation convey to us about these end-time events? One of the elective courses I signed up for at Criswell College as a part of my Master’s degree was called “Theology Intensive: Eschatology.” The four textbooks for the course were the following: “Three Views on the Rapture” (Blaising, Hultberg, and Moo; Zondervan 2010), “The Meaning of the Millennium: Four Views” (Boettner, Hoekema, Hoyt, and Ladd; IVP 1977), “Four Views on Hell” (Crockett, Hayes, Pinnock, and Walvoord; Zondervan 1996), and “Four Views on the Book of Revelation” (Gentry, Hamstra, Pate, and Thomas; Zondervan 1998). You see, there isn’t just one view on any of these eschatological topics. Brilliant scholars, individuals who have devoted their lives to studying the Scriptures, cannot agree when it comes to these things. So why should we, pastors and church members, believe that we have it all figured out? Now I am aware that most, if not all of you who are reading this probably believe the way I described above, the way most traditional Southern Baptists believe, the way I once believed. Before we precede any further, let me say this: I am not saying that I am right and you and wrong. What I am saying is this: When it comes to eschatology, we need to approach the Scriptures with an open mind. This is not so that we can make the Bible say whatever we want it to say (as postmodernists do), but so that we can understand the truth it is trying to convey. We have a bad habit of imposing our thoughts on the text instead of letting the text inform our thoughts. We need to break this habit! In Part 1 of this blog series called “Eschatological Confusion” I want to lay out for you four major issues, the issues discussed in each of the four textbooks named above. Then, in the following weeks, we will delve further into each of the issues. The major issue when it come to the rapture is not if it will occur, but rather when it will occur. Will believers be raptured before the tribulation, halfway through the tribulation, or not until after the tribulation? The major issue concerning the millennium is two-fold: (1) Will this be a literal 1,000 year period, and (2) If so, when will it begin? What’s so confusing about hell? Isn’t it a fiery place where people will be separated from God for eternity? That’s what the Bible seems to say, but of course, not everyone can agree on that. Jesus, Paul, and others all discussed eschatological issues in their teachings and letters, but when it comes to this topic, Revelation gets the most attention. Because of the nature and subject of the book, there should be no surprise that interpretations vary. -Have all of the events prophesied in Revelation already been fulfilled? Have some been fulfilled? Have none been fulfilled? -What do all of the symbols and numbers mean? Do they stand for specific figures in history? -Will all of the events eventually come to pass? If so, when will this be? As you can tell, the issues are many, and the answers aren’t simple. Please join me on this journey into eschatology and see what we can learn. As always, my prayer is that we will be challenged and changed by it all! When I recently told someone I was going to speak on the Bible and eating, they quickly responded, “Will your focus be on fellowship or gluttony?” Both topics are discussed in Scripture, but I assured the person I would not be touching on the gluttony aspect, and that will be the case for this article as well. What did the very first sin involve? Adam and Eve eating fruit from the forbidden tree in the middle of the garden (Gen. 2:16-17; 3:6). What do many of the Old Testament purity laws involve? Which foods a good Jew could and could not eat. They were to eat “clean” animals, but were to refrain from “unclean” ones (Lev. 11:1-23). What did Daniel and his three friends request after being taken to Babylon? To not be fed the royal food and drink of the king and instead to be given vegetables and water (Daniel 1). What does Jesus so often compare the Kingdom of God to in the Gospel of Luke? To a banquet or a feast (Luke 13:28-29; 14:7-24; 15:23-24, 32). What was one of the last things Jesus did with His disciples before His death? He shared a meal, the Passover supper, with them (Matt. 22:17-30). After Jesus’ resurrection and ascension, what was one of the four things the members of the first church devoted themselves to? The breaking of bread (Acts 2:42), which involved not only the Lord’s Supper but a full meal for everyone in the church. What were the New Testament authors Peter and Jude worried about in their respective letters? Outsiders (non-believers) eating meals with the local church and disrupting the fellowship and unity of the believers (2 Ptr. 2, see especially vv12-14; Jude, see especially vv12-13). Finally, how does the book of Revelation describe the end of time when all believers (the church; the bride) will be joined with Christ (the groom)? As a marriage feast (Rev. 19:9), which includes a banquet and a full meal. So you see, the Bible is full of discussion about food and eating. The question is, why? Why does the Bible have so much to say on this topic? Of course, there is not just one answer to that question. There are many reasons why the Bible discusses food and in places even commanded people which foods they could and could not eat. But there is one reason in particular that I want to focus on. The Bible, especially the New Testament, says so much about food and eating because it was a huge part of the Roman Empire’s culture. The background and setting for the entire New Testament is the first century Roman Empire. During this time period, Rome and king Caesar ruled the world. Rome loved to control its citizens, and there were a number of ways they did that. One way they controlled the masses was through the institution of voluntary associations, which, functionally, were supper clubs. Essentially everyone in Rome, from the richest of the rich to the poorest of the poor, was part of a voluntary association. But there were divisions. The wealthy joined associations with other wealthy members. The poor did the same. Artisans associated with other artisans. Other craftsmen did the same. This being the case, everyone in Rome had their place and knew their place in society, and it was seldom subject to change. These associations would gather, either weekly or monthly, to have a meal (called the deipnon) and a time of discussion and/or entertainment (called the symposion). At these banquets, people would form their identity as individuals based on the identity and beliefs of the group as a whole. So in all reality, the identity of the individual was based on that of the group. As these people bonded around the supper table, they became one. Now what does all of this have to do with the Bible? When Jesus left the apostles behind to begin the New Testament church, and when Paul and others began planting churches all over the Roman Empire, they each took the form of a voluntary association. Church gatherings consisted of a group meal followed by a time of discussion and teaching. During these banquets, which served as the early church’s “worship services,” fellow believers would sit around the table with each other, create a bond, and form an identity. And who was that identity based on? None other than Jesus Christ the resurrected Lord. Because society as a whole, and especially the church, centered on these meals/banquets, the authors of the New Testament made sure to give food and eating plenty of attention. 2 Peter 2 and the entirety of the letter of Jude focus on the presence of outsiders (non-believers; false teachers) at the meal table with the church. Consider 2 Peter 2:13, “They are blots and blemishes, delighting in their deceptions as they feast with you.” Also consider Jude 12, “These are the ones who are like dangerous reefs at your love feasts.” These authors could not bear to see the Christian identity of these churches and their members compromised by outsiders who were feasting with them at their weekly meetings. The New Testament gives so much weight to these banquets that it uses them as an analogy for the Kingdom of God. What will it be like at the end of time when believers from all ages and locations are gathered together with their King? According to Jesus, there will be people coming from all over the place to “recline at the table in the kingdom of God” (Luke 13:29). According to Revelation, it will be like a “marriage feast” (Rev. 19:9). When this earth is destroyed and we enjoy life in the new heavens and earth, will we really sit around a table with other believers and enjoy a meal? That I cannot be certain of. But what I am certain of is that this meal concept is a great way to live life now and a great way to describe how it will be for all eternity. Whether we sit around a meal table, a conference table, or a Sunday school table, we should be spending time with brothers and sisters in Christ creating bonds and forming an identity based on Christ. And when we reach eternity, what a joy it will be to worship and fellowship with our Christian family forever.